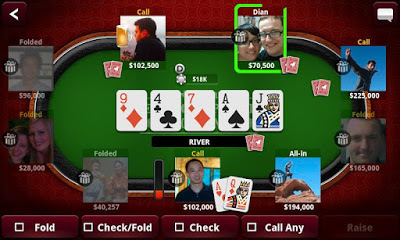 Zynga Poker was originally included in Facebook, and it was released as a mobile app, which became highly successful. 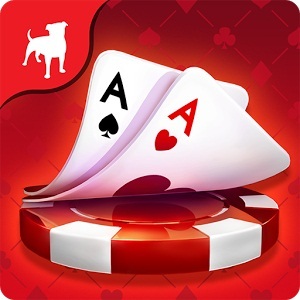 Of most poker game apps, Zynga Poker has remained one of the most downloaded for a number of reasons. Anytime you feel like a poker game, it’s as easy as opening the app and trying your hand at the card games. Zynga Poker can also be played on Facebook, syncing your account so you can play with family and friends. Playing Zynga Poker is just like playing the real thing, the same thrill except that you won’t gamble away any real cash. The app even features Las Vegas rules as it will give players the real Vegas experience. 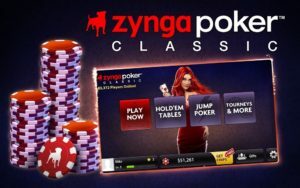 Zynga Poker caters to poker players both novice and experts. Start off with the basics, and then you can challenge yourself through tournaments or join in VIP tables. All in all, Zynga Poker deserves to be called king of poker games. Aside from the great gameplay, Zynga Poker has an easy-to-understand interface that is perfect for novice players. Plus, there are a lot of stuff to keep you playing. It features a large number of players, and you can even choose to play with your family and friends on Facebook. Of course, if you’re looking to acquire more chips for plays, you have to purchase it. Although the game can lag sometimes and its graphics is not as sharp, there are so many features to the game to keep you hooked! From the way it is paced, to the realistic card games, to different challenges and tournaments that keep you interested, Zynga Poker is perfect to harness your online gambling skills while experiencing the excitement and thrill of playing anytime, anywhere! Zynga Poker is widely popular and with good reason. Play card games with as much excitement and thrill just like the Vegas poker games but without the money involved! Play on a tourney or play with family and friends!